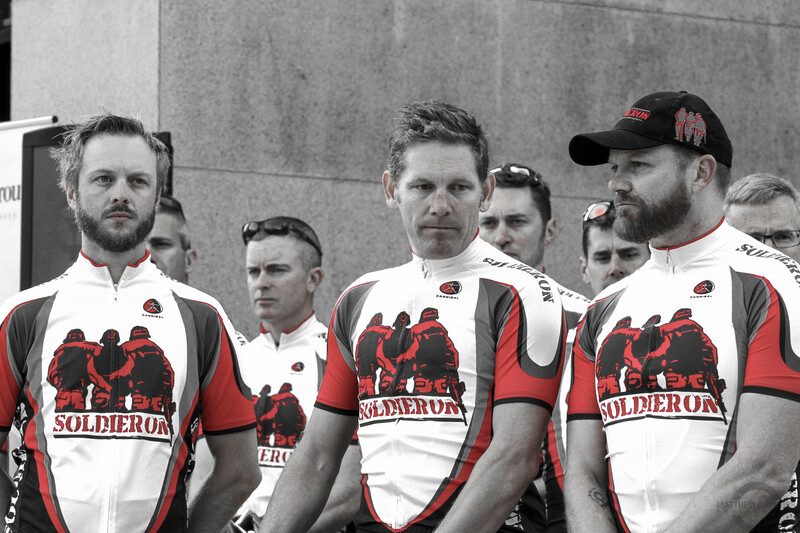 The 2014 Soldier On Remembrance Ride was a feat only achievable by a great deal of hard work, volunteers and good luck. 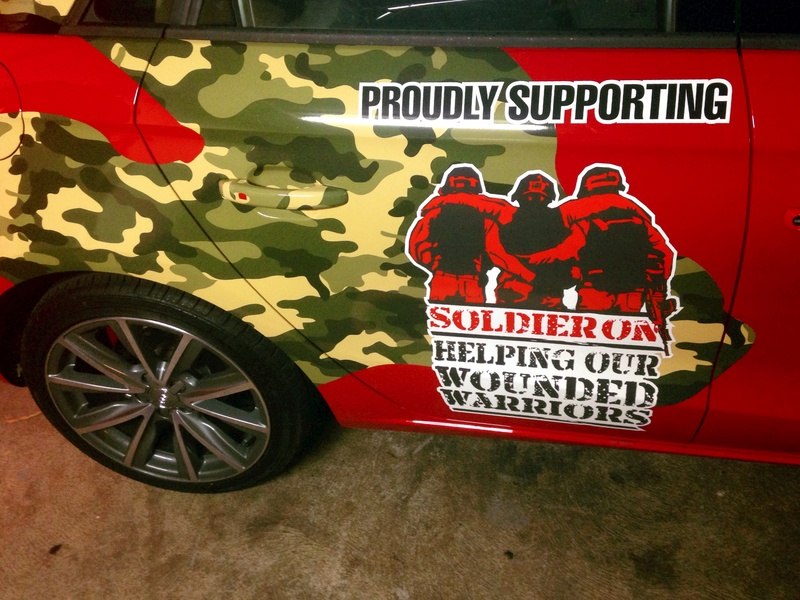 With only a couple of months to get the wheels rolling, Soldier On had their work cut out for them to get things ready in time; and being privy to the process some things came down to the wire. I was asked to participate in the ride very early on and I jumped at the opportunity. 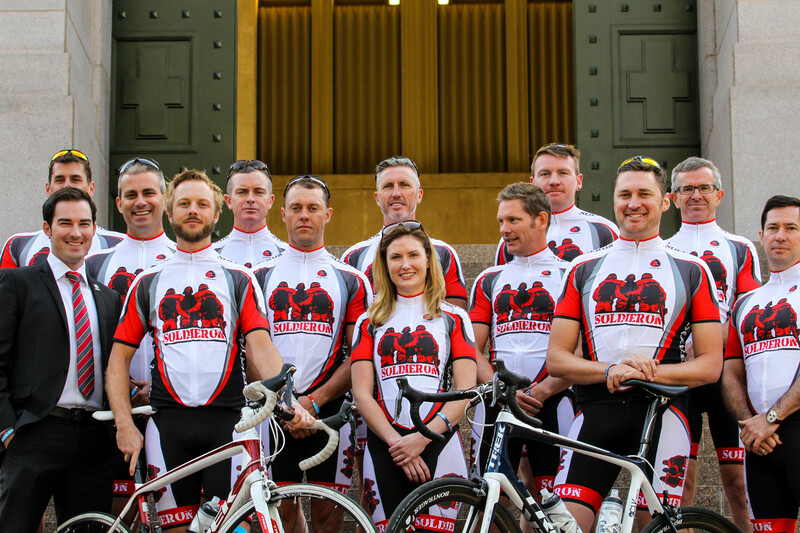 Three days of riding from Sydney to Canberra with a group of Australian Veterans and some members from our corporate sponsor; The Citadel Group. Also along for the ride was pro-cyclist turned coach/mentor Scott Sunderland. 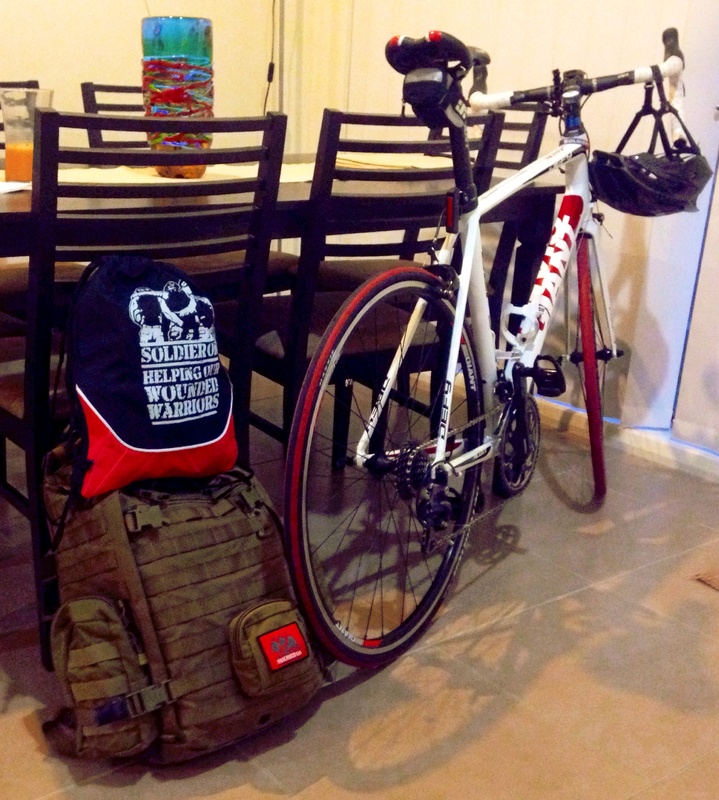 Before the drive up to Sydney even happened we were locked into a steady routine of media commitments and admin duties at Soldier On HQ.
.:Packed and ready to roll:. The drive up to Sydney was an uneventful affair with a couple of bikes strapped to the back of the Soldier On Audi and four of us squeezed inside with our gear and luggage (the car is really spacious, we just crammed a lot into it). After unloading the car and checking into our hotel opposite Hyde Park, we quickly went through the next days timetable and retired for the night. 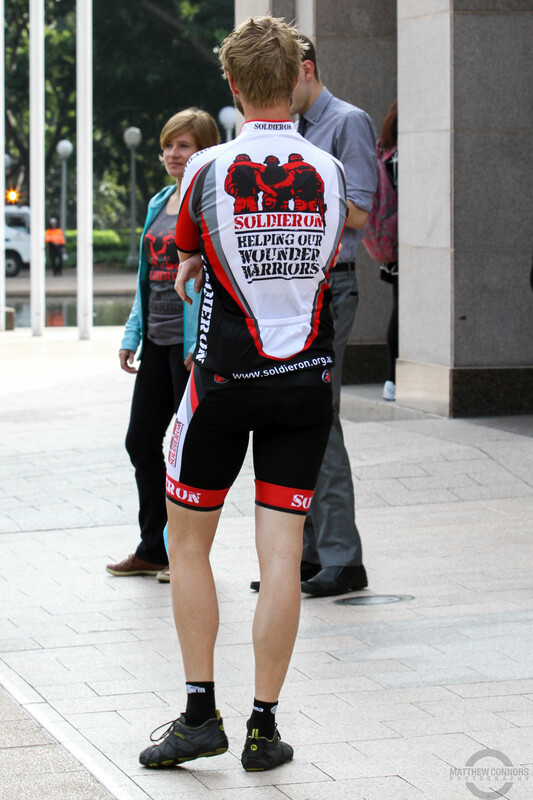 The morning of the ride was a whirlwind of interviews, photos and a lot of standing around waiting. 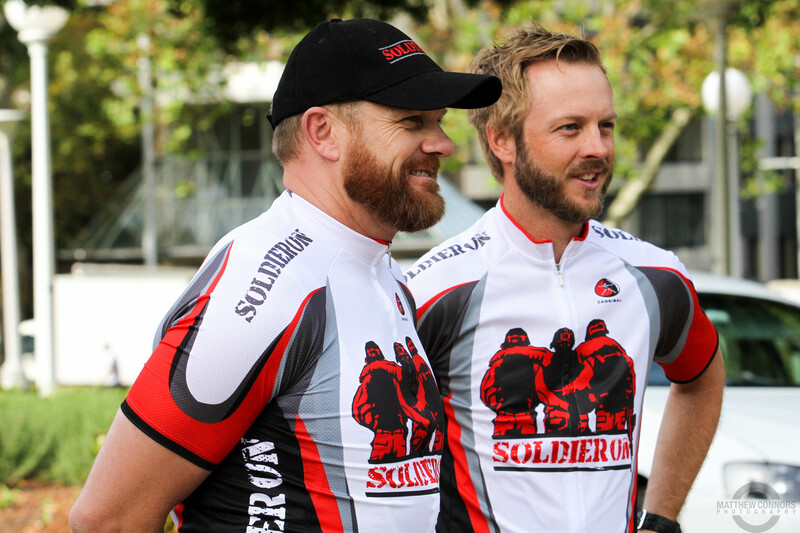 Soldier On CEO John Bale presented the team to the waiting media and soon we were being told to pose and look at this camera, move, look at that camera and of course speak to the media. Ordinarily I’m not a huge fan of interacting with the media; but sometimes anxiety and nervousness must be set aside for the greater good. 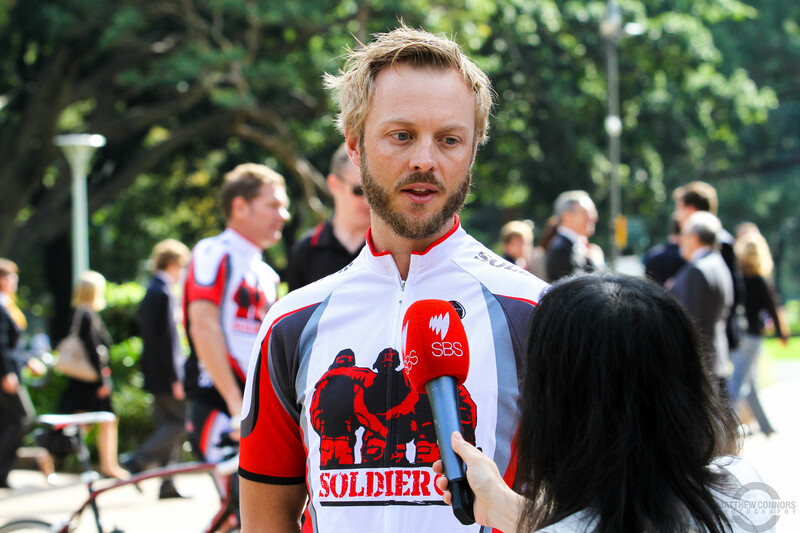 I conducted three TV interviews at Hyde Park with SBS, ABC Sydney and SBS Cycling. 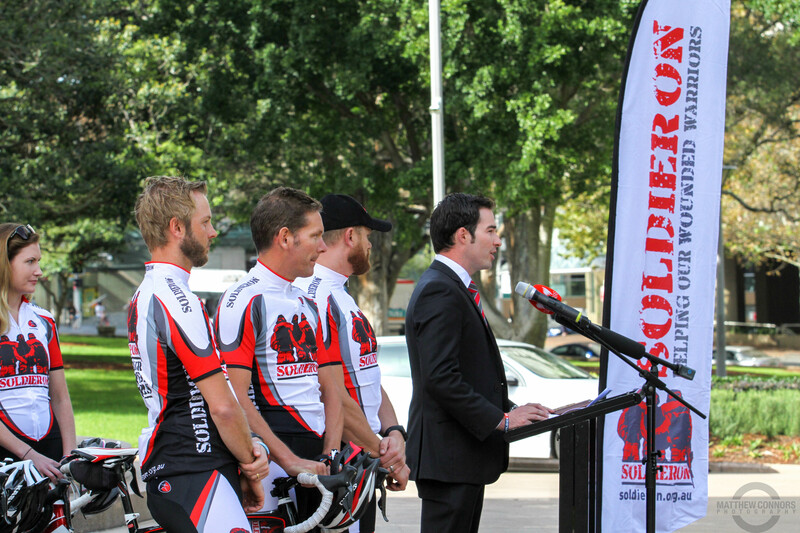 After our event launch it was time to pack the cars and go for the short drive to our start point (due to Sydney’s stupidly unsafe roads we couldn’t ride out of the CBD).
.:At Hyde Park with LTGEN Ken Gillespie:.
.:CLICK HERE TO GO TO PART 2:.